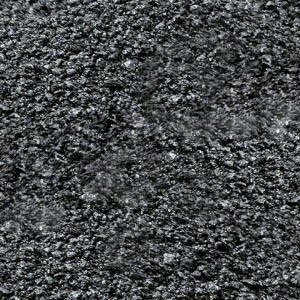 CELLPAVE™ SPECIALTY FIBRE is a high quality specialized cellulose fibre produced by Climatizer as an additive for Stone Mastic Asphalt (SMA) applications, an asphalt paving mixture used in road surfacing and re-surfacing projects. SMA has been shown to be an effective road surfacing alternative in North America, Europe and Austrailia, especially on highly trafficked and high speed roadways and to increase roadway lifecycle; it is found to be highly durable and long-lasting, decreasing the rate of road deterioration, like crumbling, rutting and pot-hole formation, due to extreme climatic conditions. Other benefits include decreased road noise levels, consistent appearance, and reduction in water spray. Contributing to successful SMA applications, Climatizer-manufactured CELLPAVE™ premium product ensures a high quality fiberization process allowing our fibres to actively stabilize the high levels of binding agent (Bitumen) used in SMA; adding to the resistance it provides against deformation. The cellulose fibres in CELLPAVE™ allow for greater expansion and contraction in SMA product, minimizing the degradation, or “breakage” that typically leads to road deformation as seen in standard asphalt applications. SMA can be applied to highways, airport runways and urban streets. CELLPAVE is manufactured from 100% locally-sourced recycled paper waste diverted from landfill, minimizing global greenhouse gas emissions and effectively reclaiming post-consumer waste. CELLPAVE™ is mainly manufactured as a fibre type, but can be pelletized as required. This product manufactured proudly in Central Canada and available for regional, national and international shipping.